You might be a bit puzzled when you first get the mouse because you're unsure what to press in order to click or right-click. Just look a little closer, because it's much simpler than you think. Here's a hint: It's all in the eyes. That's right, the mouse buttons are in the form of the adorable googly eyes that are staring right back at you. 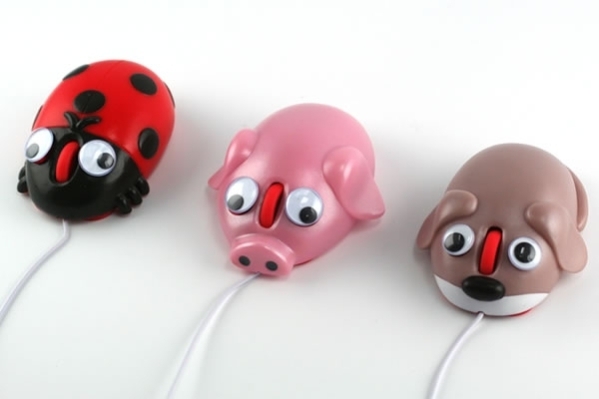 If puppies aren't your thing, then maybe you'd fancy the Pig Computer Mouse or Lady Bug Computer Mouse. They all come with a red-colored scroll wheel that make navigating through web pages and documents quick and easy. You can plug in these optical mice easily to your laptop or desktop PC via USB. 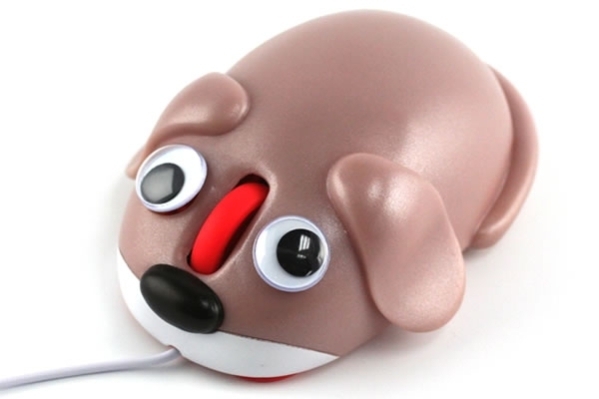 The Pet Computer Mouse is available from Neatoshop for $17.95. Which one is your favorite? Update: I just found some additional animal themed computer mouses that are pretty cute. Take a look at the Teddy Bear, the Panda, the Turtleand some other cute Bubble Gum colored Pigs here. What Would Jesus' Pets Have Done?